These are possibly the cutest things you will ever make. 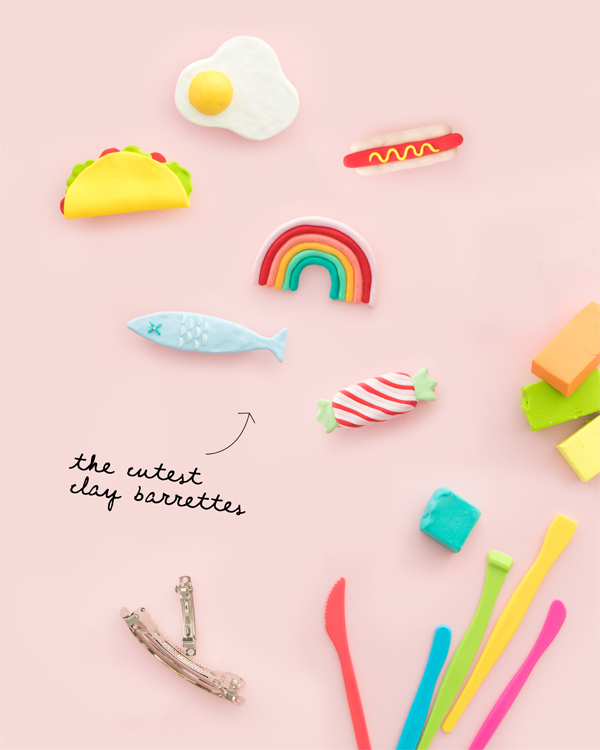 Colorful, hair barrettes made out of clay! It’s too hard pick a favorite- The taco, no, the sardine! I just can’t decide!! These cuties were based on my illustrations but crafting genius Justine did an AMAZING job sculpting them to life! Here’s the tutorial so you can make them too! 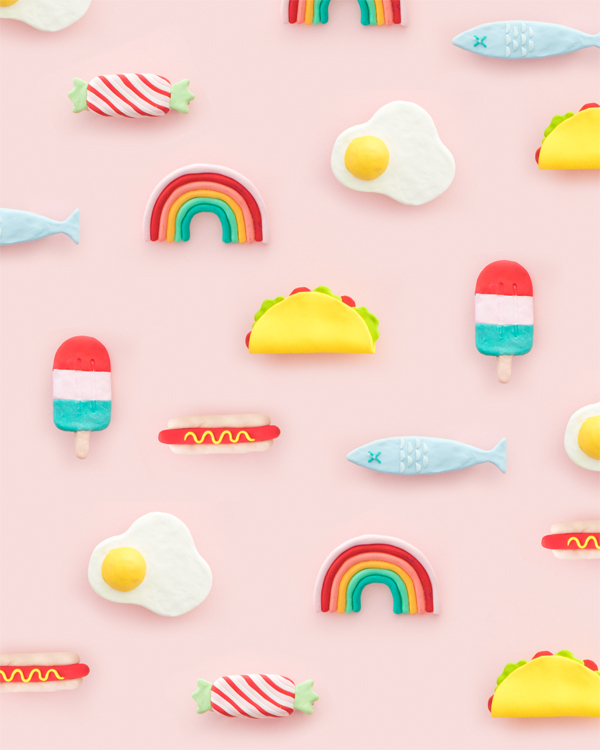 Step 1: Roll out Sculpey onto wax paper and make your designs. We combined a few different techniques to make ours: rolling clay into balls and ropes and flattening clay to various thicknesses. When placing clay elements atop or next to each other, make sure to push the clay together so they stick. The finished pieces should be large enough to cover the entire barrette so the barrette will not be visible from the front. Step 2: Bake your design for the amount of time specified on the clay package, as the instructions can vary from brand to brand. Let your clay creations cool. Step 3: Apply hot glue to the flattest portion of the barrette and adhere to the back of the clay object. 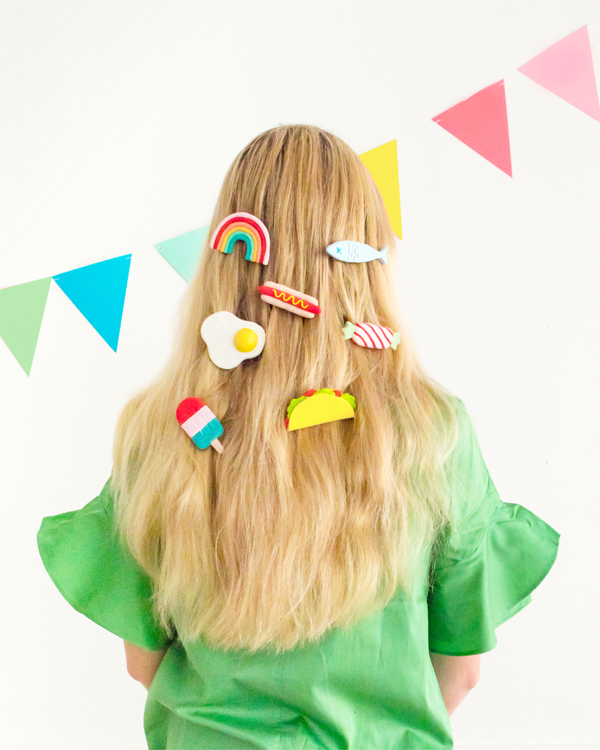 Have a great hair day! Tip: When closing the barrette, press down on the center of the bottom of the metal barrette (instead of the clay itself) with one hand while snapping the lever down with the other hand. This will help keep the pressure localized to the metal instead of the clay, which will help prevent the clay from breaking. Great job! I really love this. I’m going to make one right now for my niece. Thanks.